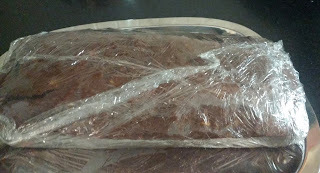 Chocolate Banana Bread is a delicious bread made using ripe bananas, cocoa powder, flour and nuts. 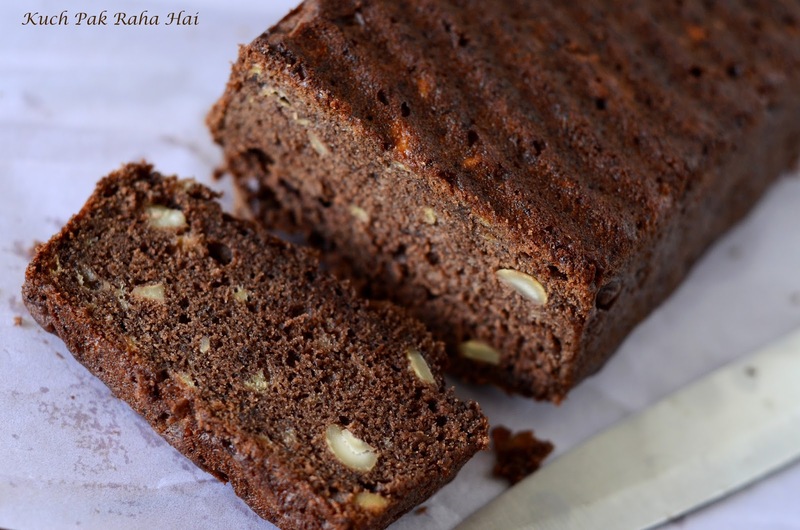 This eggless banana bread recipe promises a super soft, moist bread with mild sweetness from bananas and richness of chocolate. 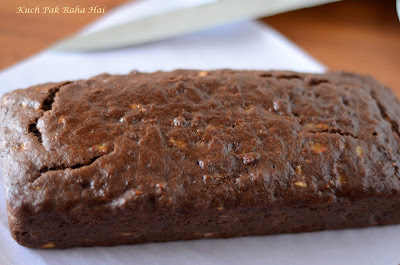 I am sure that you will definitely become a fan of this banana bread once you try it. It is really quick to make and simple too. Most of the banana recipes you would find use 'All Purpose flour' or 'Maida' but what I like most about this recipe is that it uses Whole Wheat flour (called "Aata" in hindi). 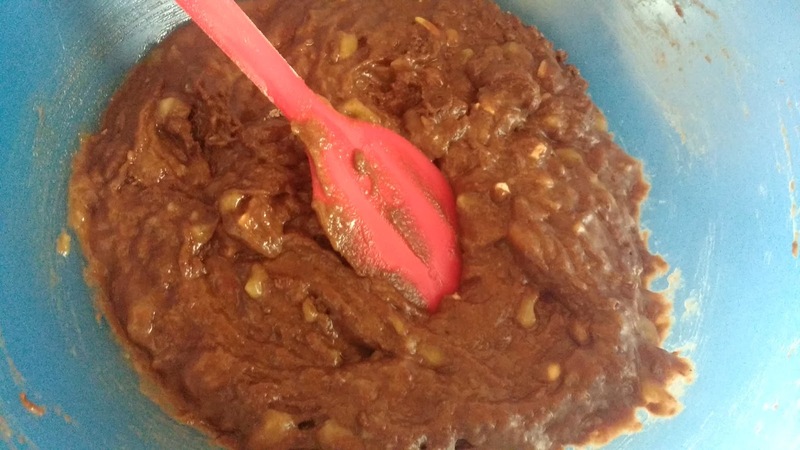 This makes this banana bread perfect for kids. 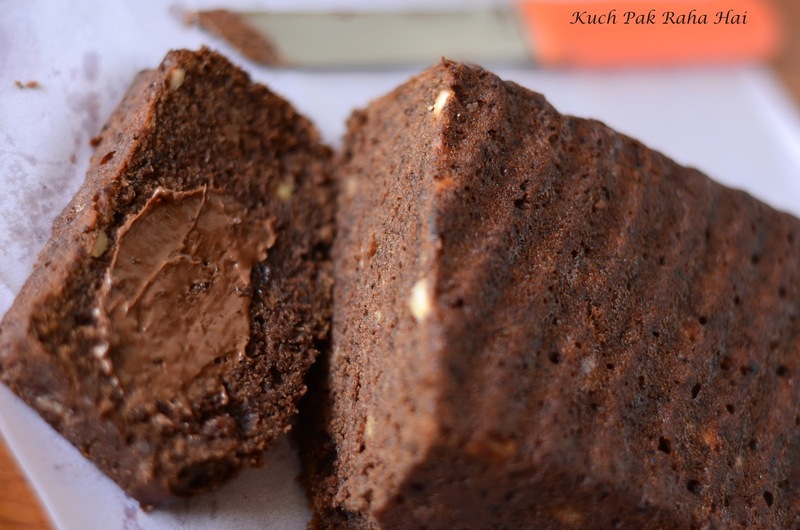 You can easily give this to your kids in tiffin or evening snacks. Also, it is a vegan recipe i.e. 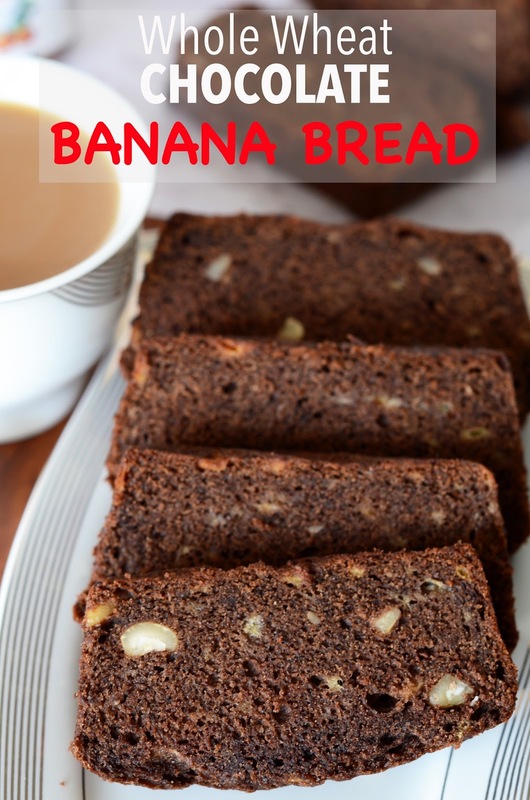 If you are allergic to milk or not consuming milk products by choice then this banana bread recipe is just perfect for you. 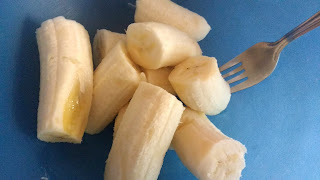 As we all are already aware, banana has numerous health benefits. It is a rich source of potassium, magnesium and vitamins etc. Apart from this it is also beneficial for patients suffering from constipation because of its fibre contents. 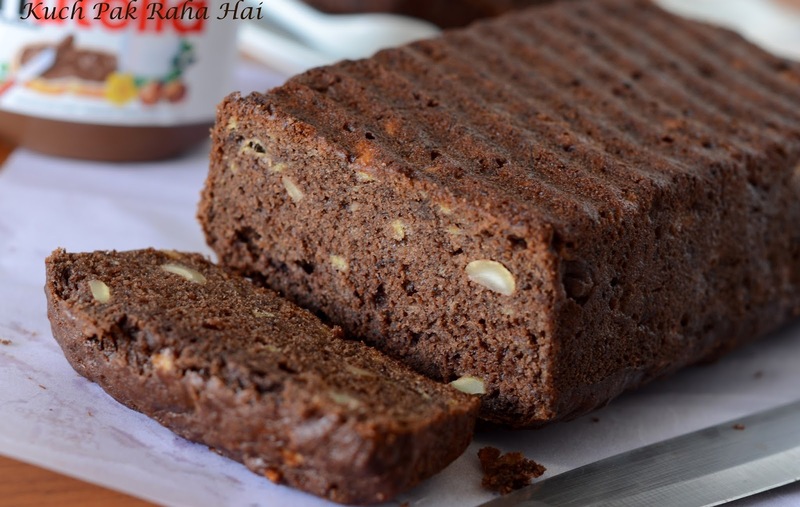 This bread makes for a complete breakfast as it comprises of banana, whole wheat flour and nuts. You can even grab a slice of it with your evening tea or coffee. Please note, you are advised to use only ripe or over-ripe bananas for this recipe. Adding nuts to it is a personal choice. You can even add chocolate chips. Other Banana recipes shared on this blog are: Whole Wheat Banana Pancakes, Banana & Oats muffin, Banoffee Pie, Vegan Banana Ice cream etc. You can check out their recipes by clicking here. 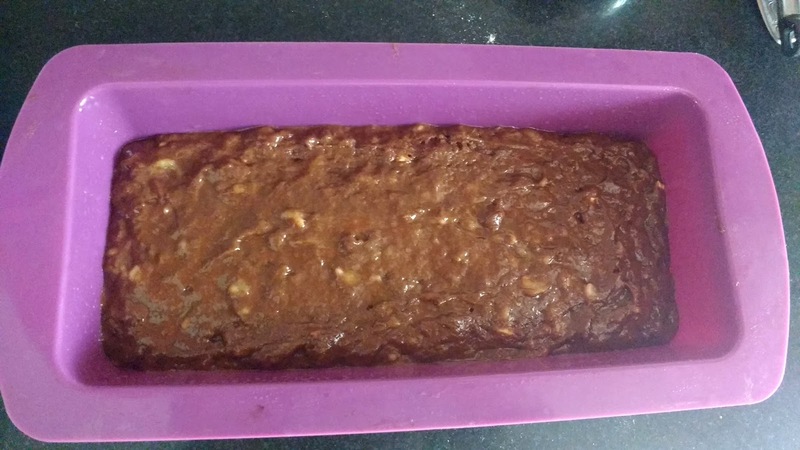 Hope you would like this delicious Chocolatey Banana Bread recipe!! Take ripe bananas in a mixing bowl. Puree them using a fork or hand blender. 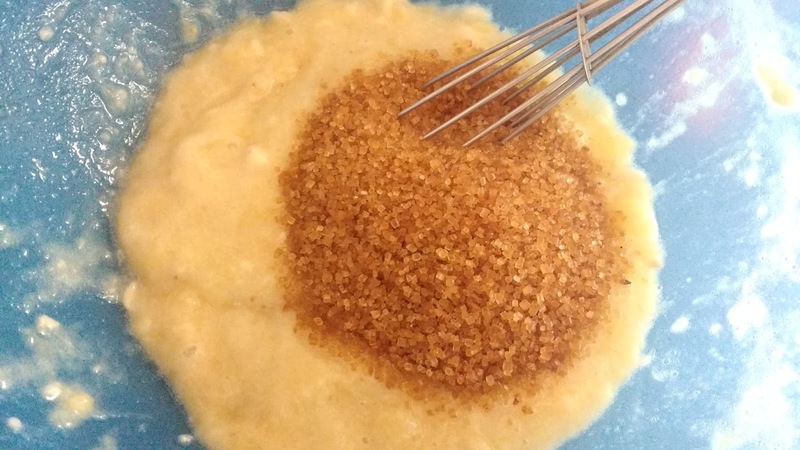 Add oil and vanilla extract to ripe banana-brown sugar mixture. Again mix well all the ingredients. You can use hand whisker or blender for the same. 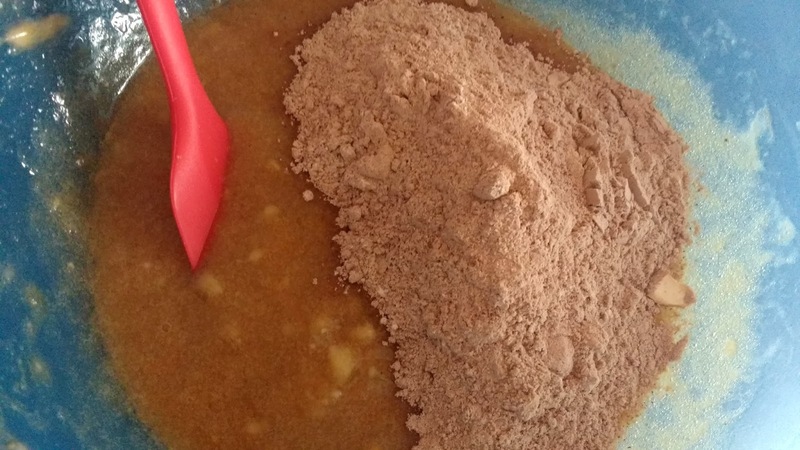 Keep this bowl of wet ingredients aside. 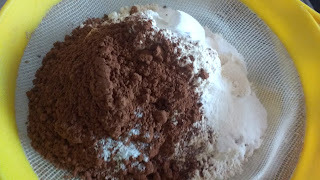 In a separate bowl or plate, Sieve whole wheat flour, cocoa powder, salt, baking powder and baking soda together. Add chopped nuts to it and give a gentle stir so that nuts are coated with the flour. 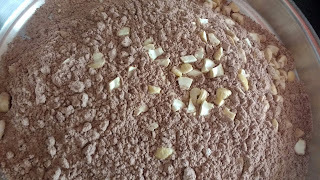 This step is necessary else the nuts would sink at the bottom of mixture later on. These are the dry ingredients of our recipe. Set the oven for preheating at 180 degrees Celsius. By the time oven is preheating let us proceed further. 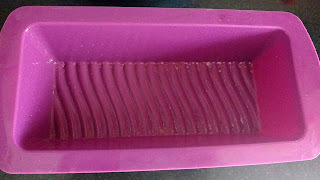 In a loaf tin or silicon mould as shown in below picture, apply some oil using fingers or silicon brush. You can even coat it with cooking spray. These days both aluminum/silicon baking moulds are readily available in market or online stores. 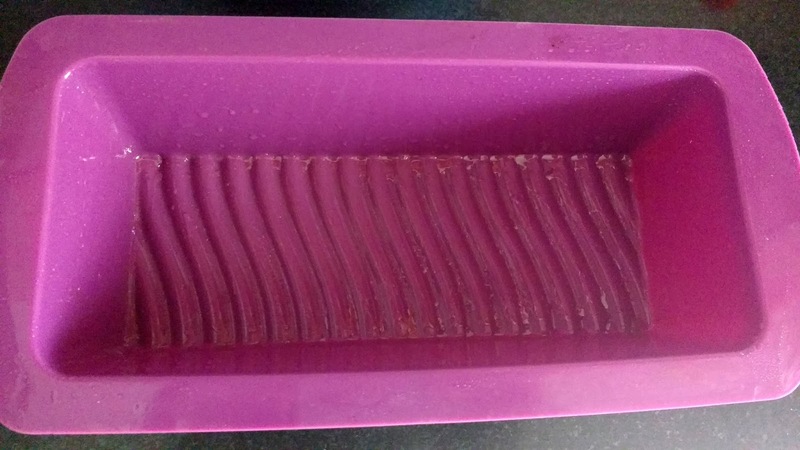 To check the price or specification of similar silicon bread mould on amazon click here. 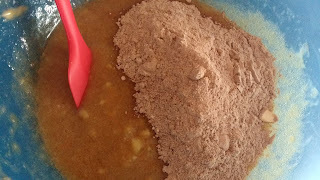 Add half (roughly) of the dry ingredients to the wet mixture we prepared in step2. Fold it with light strokes using a silicon spatula (buy here) or spoon. 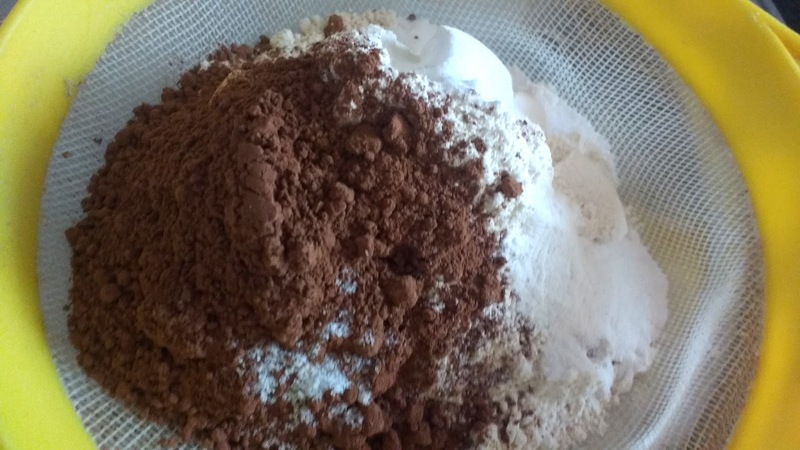 Once the ingredients are mixed, add remaining dry ingredients to it and fold once again so that no lumps are formed. 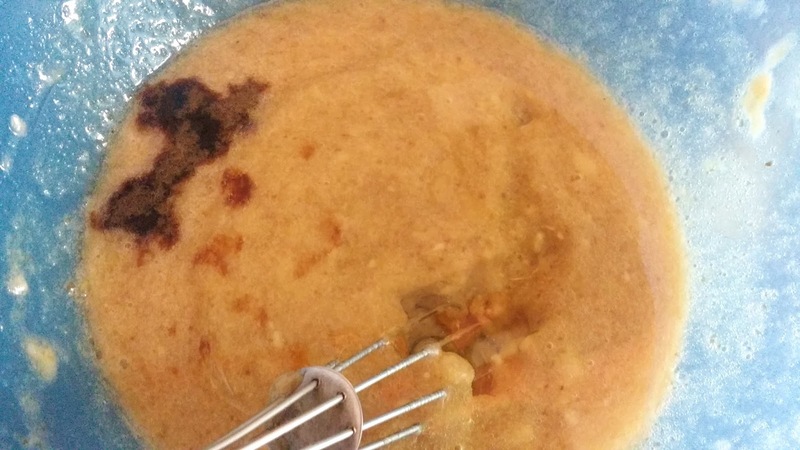 Please do not over mix the batter. Transfer the batter prepared in step5 into the loaf mould. Level it using silicon spatula or back of a spoon. Bake this batter at 180 degrees for 35-40 minutes. My OTG takes around 35 minutes for it. I would suggest you to check the centre of banana bread after 35 minutes using a toothpick. If toothpick comes out clean, the bread is ready else bake to for another 5 minutes depending on how wet the batter at the tip of toothpick appears to be. Many readers enquire about the brand of OTG or oven which I use for baking. 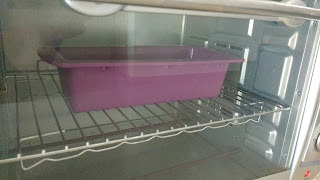 I have been using BAJAJ 35 Litres OTG for most of my baking needs and I am quite satisfied with it. You can check out its price and other specifications on amazon by clicking here. Once the bread is ready bring it out of oven/OTG. 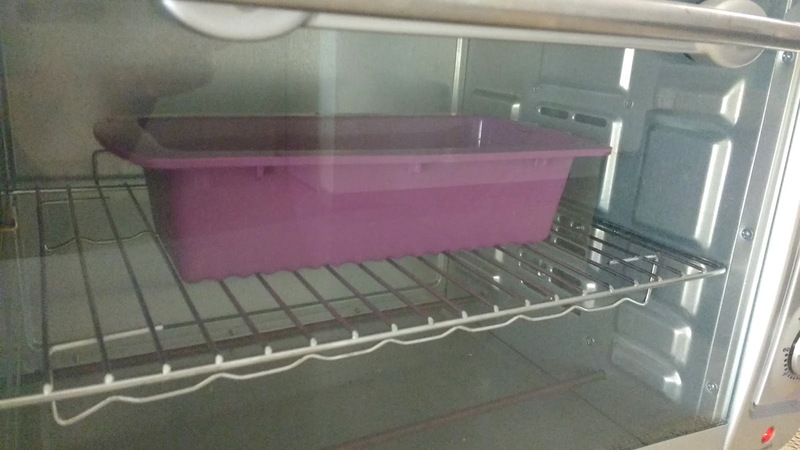 Let it cool down in its mould for 15-20 minutes. Then transfer it on a rack or plate where it can cool down completely.This will take another half an hour. Once the bread has cooled down, wrap it in a cling film and store it in refrigerator. Whenever you want to eat or serve this bread ,just bring the bread out of the refrigerator, unwrap the cling film from one end , cut the slices and keep the remaining bread in fridge again. This way you can consume the bread for up to 3-4 days comfortably. It will remain soft and moist without any effect on its taste. Enjoy this banana bread in your breakfast or with evening tea. You can even apply some Nutella to it to make this bread taste even more heavenly. I think "Vegan Eggless Chocolate Banana Bread (Whole Wheat)" is a very tasty food ? It tastes really nice. You must try it some time. Hii, If you are ok with its non vegan version then add some thick curd to it. It will make the batter smooth and also make the bread softer. Great recipe! Turned out great for us. I added curd.